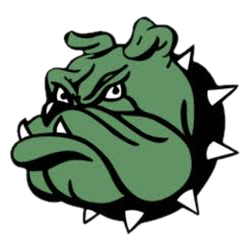 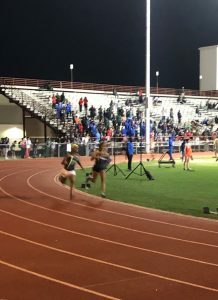 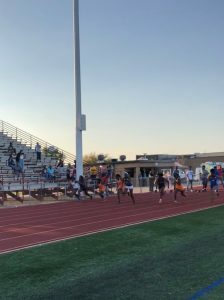 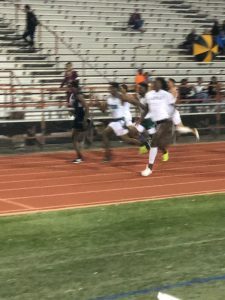 Bulldogs News · Apr 5 Numerous Bulldogs advance to Area Track Meet with good showing at Dist. 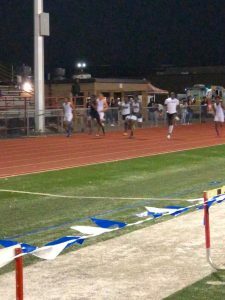 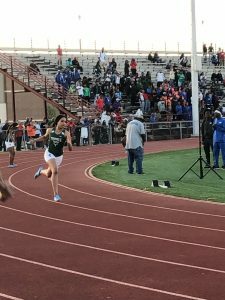 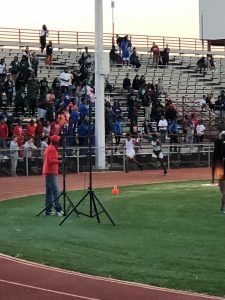 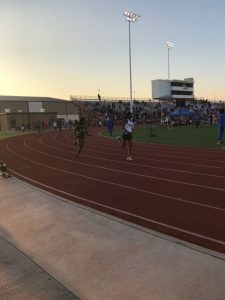 4-6A Track Meet, pictures included. 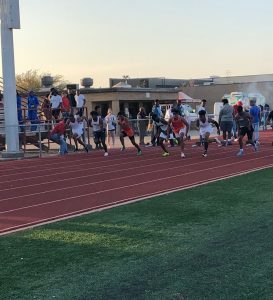 Thanks to Coach Brookins for the email that went out to the faculty and staff I simply copy and pasted, so congratulations to all of these athletes as well as to Coach Brookins, Coach Wilson and their staff. 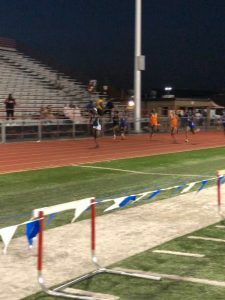 I apologize for the quality of some of the photos as they were taken with an iPhone. 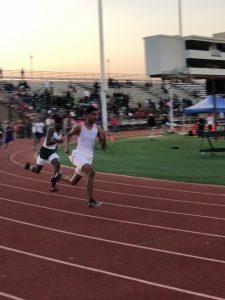 More details will be posted as we get closer to the area meet. 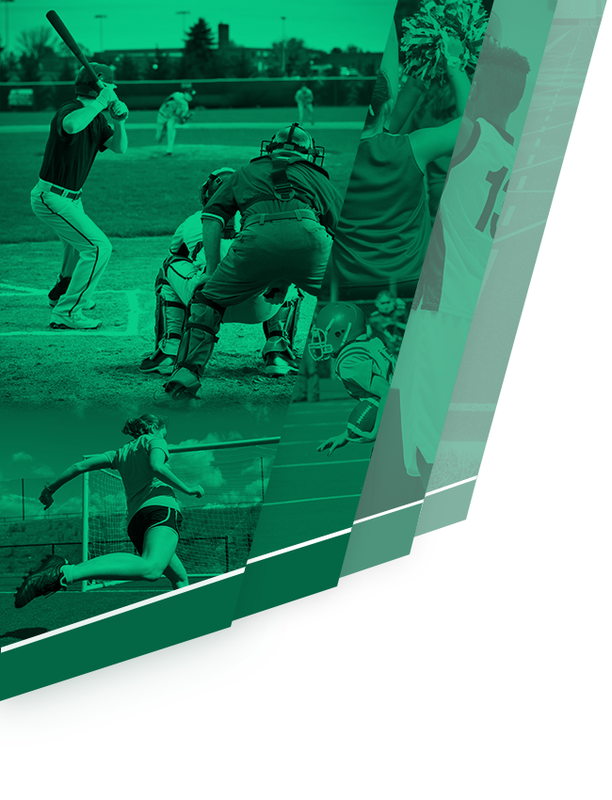 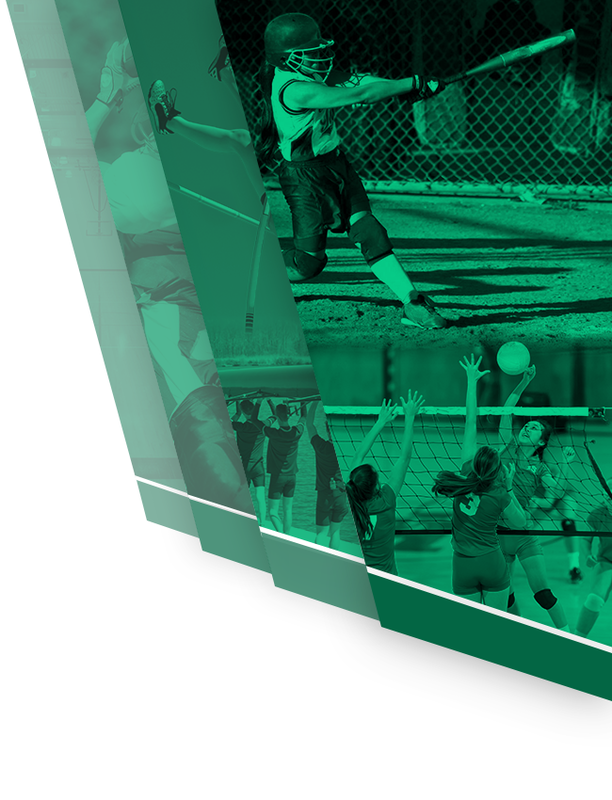 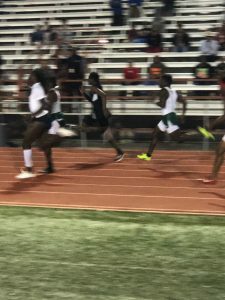 The Trimble Tech Track and Field Staff would like your help to help us congratulate the following Varsity Boys and Girls on advancing from the District Meet held last night to the Area Meet to be held April 17th at Weatherford High School. 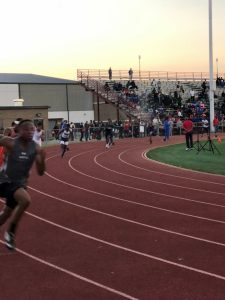 Senior Gabriel Woodard finished 2nd in the 400 meters with a personal best time of 48.30 seconds. 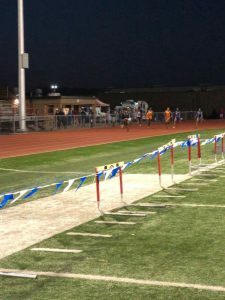 Garbriel has qualified for the State Meet each of the past three years at this distance. 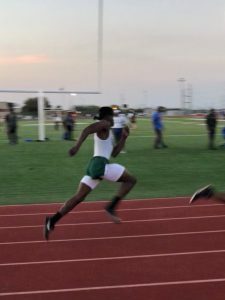 Gabriel later went on to finished 3rd in the 200 meters also in a personal best time of 21.49 seconds. 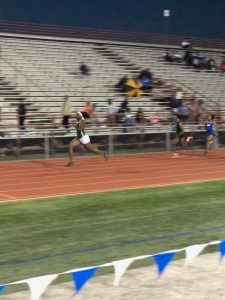 Also moving on for the boys was freshman James Jallah. 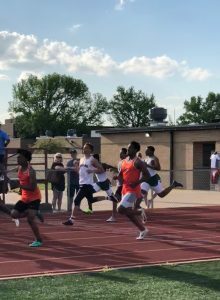 James placed 4th in the 200 meters in a personal best time of 21.82 seconds. 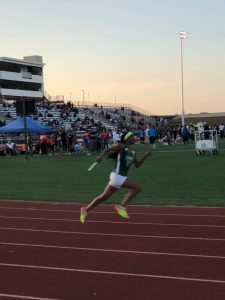 Moving on to the Area Meet on the girls side featured three different relay teams. 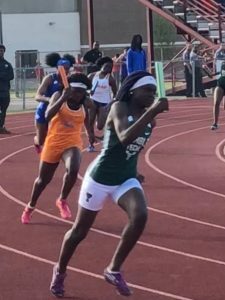 Finishing 2nd in the 4×100 meter relay was the team of Keiohna Williams, Keonondra Davis, Tajsia Pye and Kalyiah Woodard. 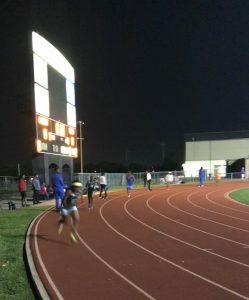 The group finished in a season best time of 47.78 seconds. 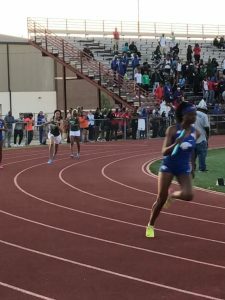 In the 4×200 meter our girls finished 3rd, that team consisted of Kalyiah Woodard, Tajsia Pye, Zia Mathis and Aliyah Wilson. 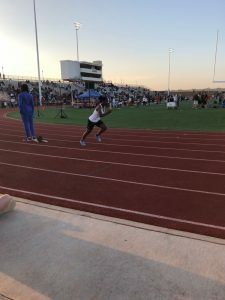 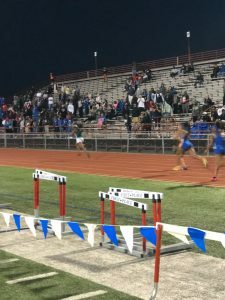 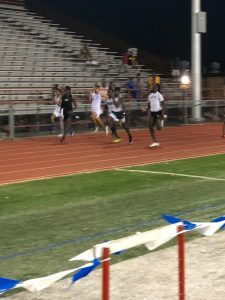 The girls relay teams were not finished just yet as the 4×400 team finished 4th to move on to Area as well, that group was compromised of Kalyiah Woodard, Keiohna Williams, Tajsia Pye, and Aliyah Wilson. 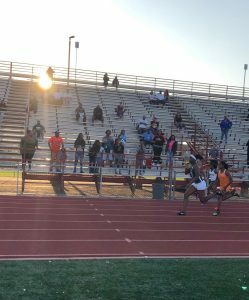 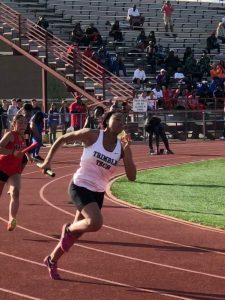 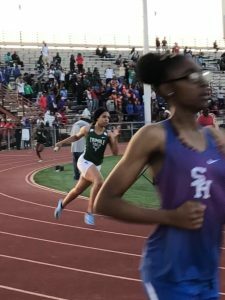 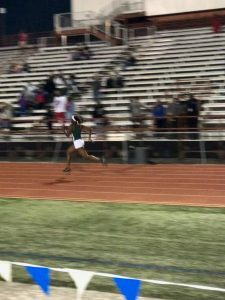 Lastly but surely not least sophomore Kenondra Davis, the defending State Champion in both the 100 meter and 200 meters dashes won both events in what are the #1 times in the State of Texas this season so far. 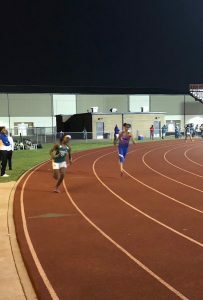 Her wining 100 meter time was 11.52 and her winning 200 meter time was 23.61. 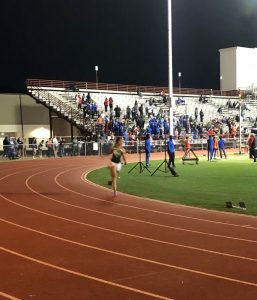 Please give these kiddos a big pat on the back for a job well done yesterday.